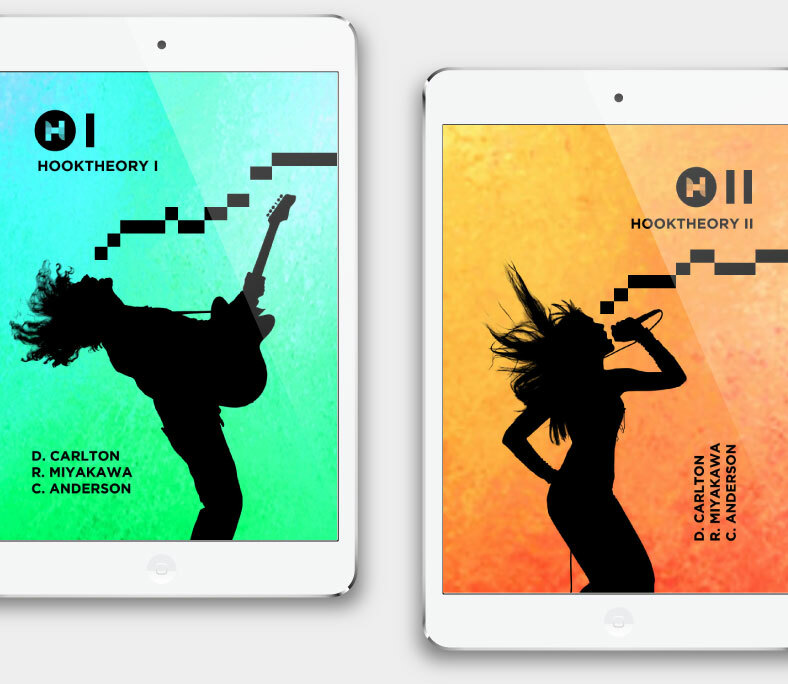 The Hooktheory Song Library is an encyclopedia of popular music analyses using the Hooktheory visualization system created by its users. Analyses of Copyright protected works must conform to certain standards to ensure the use of Copyrighted material falls under fair use. Analyses should generally not be longer than 30 seconds or 10% of the length of the original song, whichever is shorter. The length of an analysis should be the shortest length necessary to understand the musical idea that is being conveyed in the analysis. Analyzing multiple harmonically redundant parts of a song for the sole purpose of having a larger portion of the song in the library is prohibited. It is Hooktheory's policy to respond to notices of alleged copyright infringement that comply with the Digital Millennium Copyright Act (DMCA). It is also Hooktheory's policy to terminate the use of Hooktheory's products or services of subscribers and account holders who infringe copyrights. Analyses that do not fit these criteria will be flagged for removal and repeat-offending users will be prohibited from contributing to the library. 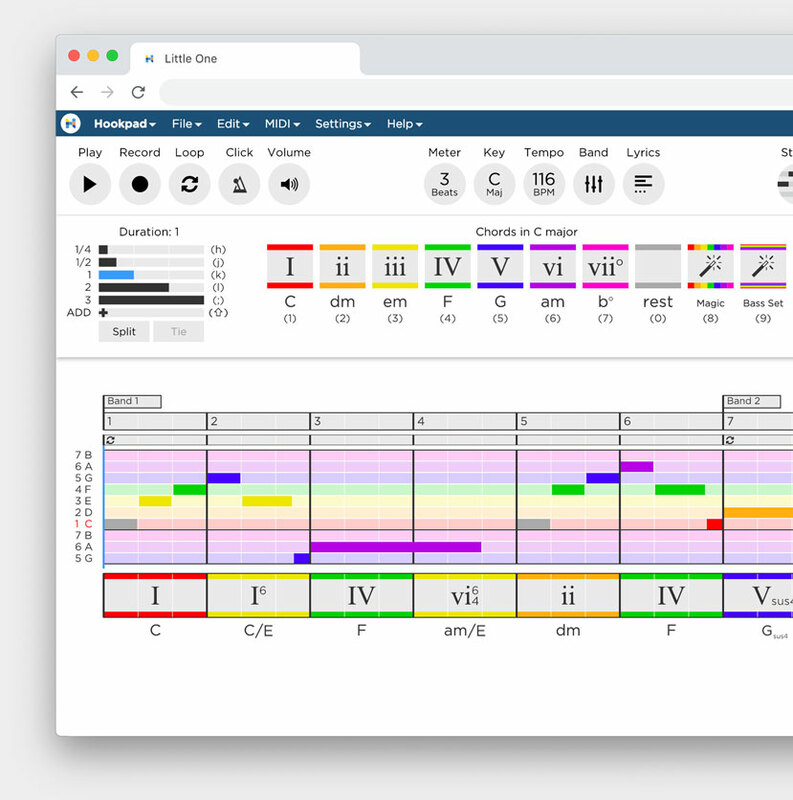 Hooktheory LLC uses a novel model of teaching music theory that makes limited use of certain copyrighted materials. These materials are not for distribution, public performance, or publication, and are for educational use only. Hooktheory's use of these materials constitutes fair use under U.S. copyright law. Any complaints of infringement must conform with the instructions provided above. Fair use is a doctrine that provides a complete defense against claims of copyright infringement in certain circumstances. Section 107 of the Copyright Act provides a list of purposes for which reproduction of a given work may be considered fair, including criticism, comment, news reporting, teaching (including multiple copies for classroom use), scholarship, or research. The Copyright Act sets forth a four-factor test to determine whether the use made of a work is a fair use: (1) the purpose and character of the use, including whether such use is of a commercial nature or is for nonprofit, educational purposes; (2) the nature of the copyrighted work; (3) the amount and substantiality of the portion used in relation to the copyrighted work as a whole; and (4) the effect of the use upon the potential market for or value of the copyrighted work. In 1994 the U.S. Supreme Court held in Campbell v. Acuff-Rose Music, Inc. that the commercial nature of a parodic song that borrowed extensively from an earlier copyrighted work did not prevent a finding of fair use. The Court determined that the commercial nature of a work is only one element of the Act's first factor inquiry into the purpose and character of the use. Hooktheory's use of copyrighted materials constitutes fair use under Section 107 of the Copyright Act. First of all, the purpose and character of Hooktheory's use of copyrighted sound recordings is educational in nature, and when accompanied by the explanatory text of the digital book, it also adds original criticism and commentary. Moreover, the integration of a YouTube clip, a graphical representation of the chords, and the music engine, combined with Hooktheory's written analysis constitutes a transformative use because it transforms a sound recording into an audiovisual work and provides critical analysis of the underlying music composition. Thus the purpose and character of use fall well within the understanding of what constitutes fair use, despite Hooktheory's commercial purpose. Second, Hooktheory uses only short excerpts of popular songs. The Fair Use Guidelines for Educational Multimedia, prepared by the Conference on Fair Use, advise that the use of 10% or 30 seconds of a sound recording is presumptively fair use. While this recommendation is not binding on courts, it supports the conclusion that Hooktheory's limited use of excerpts of copyrighted songs in the previously described form constitutes fair use. Finally, Hooktheory's use of popular songs in its music theory instruction adds value to those works, much like inclusion of a sound recording in a musical encyclopedia. Rather than replace the market for the music it uses, Hooktheory may actually enhance that same market, benefitting the holders of the copyrights to the music. Further, Hooktheory's visualizations and instrumental playback mode only plays generic renditions of the chords that make up the underlying songs. As such, it does not provide a full written musical score or guitar tablature, so there is no risk that its products would compromise the essence of a song in permanent or fixed medium. The ephemeral and transient nature of the information Hooktheory provides enhances its claim to fair use because it does not serve as a substitute for the underlying music itself. For the foregoing reasons, Hooktheory disclaims that its use of copyrighted materials for educational, illustrative, commentative purposes constitutes infringement, and a court is likely to uphold its assertion of fair use.